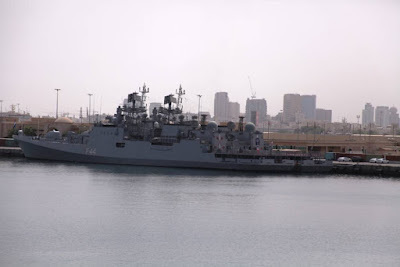 Indian Naval Ships Deepak, Delhi, Tabar and Trishul entered Dubai on 05 sep 15 and scheduled remain there till 08 Sep 15. The ships are part of the Indian Navy’s Western Fleet based at Mumbai and are on a long-range deployment to the Persian Gulf to enhance bilateral ties with friendly regional navies. 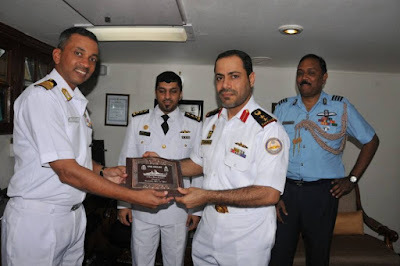 During the visit, the warships are scheduled to have professional interactions with the defence forces of the host countries for enhancing co-operation and sharing the nuances of naval operations including disaster management and combating maritime threats of terrorism and piracy. Apart from professional interactions, sports and social engagements are also planned, which are aimed at enhancing co-operation and understanding between the Navies. Indian Naval Ships Deepak, Delhi, Tabar and Trishul entered Dubai today and shall remain there till 08 Sep 15. 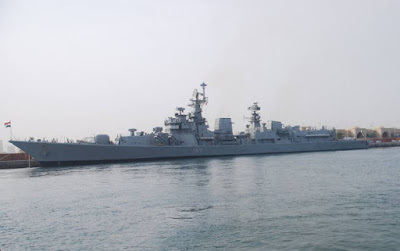 The ships are part of the Indian Navy’s Western Fleet based at Mumbai and are on a long-range deployment to the Persian Gulf to enhance bilateral ties with friendly regional navies. 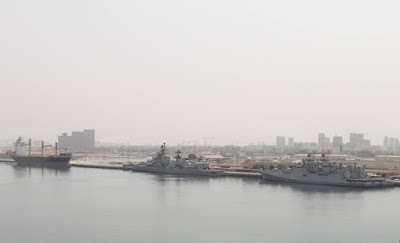 During the visit, the warships are scheduled to have professional interactions with the defence forces of the host countries for enhancing co-operation and sharing the nuances of naval operations including disaster management and combating maritime threats of terrorism and piracy. Apart from professional interactions, sports and social engagements are also planned, which are aimed at enhancing co-operation and understanding between the Navies. Bilateral relations between India and UAE have existed for a long time with treaties and agreements on extradition, mutual legal assistance in criminal and civil matters, judicial cooperation in civil and commercial matters, combating trafficking in narcotics, civil aviation, cultural exchange and information cooperation. 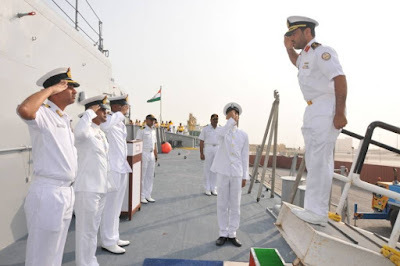 UAE is today India’s second largest trading partner and naval cooperation between the two countries have increased steadily since the inaugural Navy-to-Navy Staff Talks in Jan 07, which covered the entire gamut of IN-UAEN cooperation. Frequent port visits by naval ships of both countries, visit by Service Chiefs and training of UAE naval officers has further bolstered naval cooperation between the two countries. India and UAE are also members of Indian Ocean Naval Symposium (IONS); a voluntary and co-operative initiative between 35 countries of the Indian Ocean Region. IONS has served as an ideal forum for sharing of information and cooperation on maritime issues. The current visit seeks to underscore India’s peaceful presence and solidarity with friendly countries in the Gulf and strengthen the existing bonds of friendship between India and UAE. The Indian Navy today has multi-dimensional capability comprising aircraft carriers, modern ships, submarines, aircraft and marine commandos. 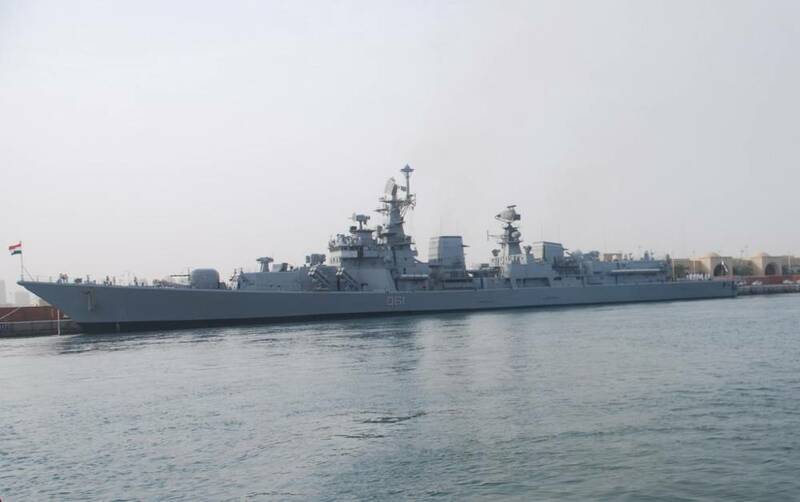 A notable feature of the Indian Navy’s force structure is the fact that an overwhelming majority of its ships are designed and constructed in India.